It can be difficult to understand why our children seem to keep seeking attention in negative ways when we are giving them plenty of positive attention. I give, give, give to my child and yet… she still won’t let me go to bathroom in peace. How unfair is that! Very. And this is one reason you won’t see me echoing the advice commonly shared to “fill your child’s cup” (or bucket, etc.). For me, it’s misleading to imply that if we give children a measurable amount of our attention we can prevent their challenging behavior. Like all of us, children’s attention needs are more layered and nuanced than that. They can’t be generalized, accumulated, or scheduled. Every interaction we have with our children sends messages about their relationship with us and themselves. In the moments we’re giving our children what most consider positive attention, such as being fully present while they play, enjoying an outing together, reading books or just hanging out, we communicate messages like: You are pleasant to be with… I love you just as you are… You are fun, entertaining, interesting, capable… You have good ideas. But when our children behave in challenging and/or unpleasant ways, they are often impulsively (and mostly unconsciously) seeking another kind of affirmation from us: assurance, acceptance, a sense of security, and strength in our leadership. Even if it feels messy to us in the moment (screaming, fighting us, resisting, persisting), the message of acceptance from us is a positive one. Nothing could be more comforting and powerfully healing than feeling accepted by our loved ones when we are at our worst. In the situation this parent describes, the messages their child is seeking might sound something like: You are safe with us, even when you feel like lashing out… Don’t worry, we won’t let you hurt or upset us… We are here to help when you are out of control… Your feelings and impulses are acceptable to us… We see the discomfort behind your behavior… It is normal to have the impulse to hit and throw stuff when you are overwhelmed. The way this might look in practice would not be too different from what these parents are already doing. They are being respectful and non-punitive, and they’re even empathizing with their toddler’s experience. There are just a few tweaks I’d make to ensure he clearly receives the messages he needs to be able to fully exhale, feel more secure and less unsettled. His relief will be reflected in calmer, less challenging behavior. Physically limit the behavior while accepting and acknowledging the feelings or desires. While confidently blocking (not overreacting or overdoing it), we might say, “You want to hit your brother. I’m here to stop you. I see you really feel like lashing out.” And then maybe, “That’s a scary feeling, isn’t it? I’ll always try to be here to keep you safe.” Subtext: I’m on your side. It’s okay to feel whatever you’re feeling. 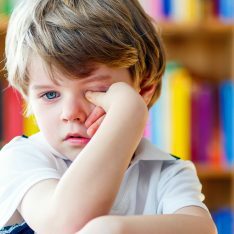 While their behavior is driven by impulses, on some level children are usually aware when they are outright breaking rules or not doing what we wish. In other words, they already got the memo and know better, but can unwittingly find themselves venturing to the dark side anyway. Yet our instinct in these situations is often to repeat or rephrase the rules. (They must not have heard or understood the first time!) One problem with that approach is that it is difficult to stay calm when are repeating ourselves to no avail. Naturally, our frustration mounts and gives our children’s behavior power and negative attention. The message our children really need is not a reiteration of the rules, but our acceptance of their immature, human impulse to break them. Our intention in acknowledging our child’s feelings can’t be to fix or otherwise put an end to the behavior in the moment. Our purpose must be to connect and actually encourage our children to feel what they feel, to demonstrate to them that their desire to hit and throw stuff is, in fact, okay with us, although acting on it is not (a message we teach by blocking those actions from happening). Ideally, we’ll be coming from a place of understanding that we all have dark feelings, and when we are stressed or overwhelmed, we might act on them, even as adults. 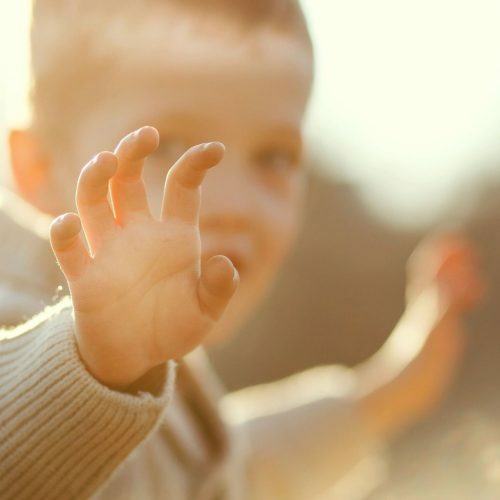 Young children are generally far more sensitive and emotionally turbulent than adults, and they have not developed an adult level of self-control. Therefore, their threshold for acting on their feelings is much, much lower. If we judge and forbid these impulses (which are, again, beyond their control), our invalidation creates even more stress, resulting in even more impulsive behavior. Seeing and accepting these impulses creates the emotional release that eases the negative behavior cycle. We’ve successfully addressed the cause of our child’s behavior rather than forbidding or combating the symptoms. Take the least possible action to block the hitting or throwing, and make this look as easy and uneventful as possible. Bringing a child to another room to cool down and then extending this session further by reiterating rules and lessons gives an abundance of unnecessary attention to these typical sibling behaviors (more on that HERE). That is exactly the kind of attention that children don’t need, a drawn-out story about what they did wrong. So, whenever possible, it’s best to stay where we are, calmly blocking the action while providing a brief message of acceptance and safety to our children. If they have feelings to share, they will. Our own thoughts might run to forgiving, letting go, moving on, recommitting ourselves to using our energy to give children the messages that bring them comfort and us closer. Thank you Janet. Very Helpful explanation. Would you have any further suggestions if a child was acting out this aggression on to the parent/caregiver and if it were very violent? Just what I needed to read, I am struggling to stay calm and not let my emotions come out when my 3 year old son is aggressive to his little sister. It comes in waves and there is usually another stress going on in his life at the times it peaks. Stresses such as changing daycare, getting sick and tired or learning to use the toilet. It’s so helpful to have a script and plan of action while trying to breathe through the emotional jolt I have inside. I’m not there yet and feel annoyed/angry at myself when I’m judging him instead of helping him but am getting there. Yes, this is a very hard thing, Naomi, and I didn’t mean to imply it was easy! 🙂 We can’t deny our own feelings, but with practice shifting our perspective and understanding more where our child is coming from, we can actually change the way we feel about their behavior. There is always a reason children behave in these ways. It is not a sign that they are bad children or that we’ve done something terribly wrong. Thank you for this, Janet. It’s very helpful as always. One question: what would be a scenario in which it WOULD be appropriate to move the child to another room? And how should that be played out if it needs to occur? Thank you! You’re so welcome, Carmen. Yes, if the behavior persists and becomes unsafe and/or we need to attend to something else in that moment (like a pot on the stove), we might need to move our child to another room. I would usher your child there, again trying to make this look as easy for you as possible. You might say something like, “I need to move you to your room to keep you safe. I hear how mad you are.” And then you could stay there while the feelings pass or leave and say, “I’ll be back to check on you after I’ve ___” Either way, I would not reiterate rules or what he should do next time, etc. Just let it go with faith in your child and providing the sense that you are on their side. This is very helpful – thank you! I do struggle when I don’t get to block the aggressive behavior in time. Do you suggest letting it pass until the next time? My older child usually senses that I witnessed the hit, push, etc., so I don’t like to send the message to either child that it was okay to do. All so helpful and very timely for me. Also, I had never thought about the idea of the attention bucket giving the false impression that it can be doled out in measurable amounts. I just finished reading this article and I bookmarked it so I can reread it as a reminder on challenging days. You’re a wonderful resource in helping me understand my toddler’s thoughts. The past two months have been a challenging time of increasing defiance and hitting. Your blog really helps on those days when mentally chanting “this is healthy, normal developmental behavior” isn’t enough! Excellent article. So much of this aligns with Dr. Becky Bailey’s approach as well.. which I like. Question – I have a friend who has a 1.5 year old that will repeatedly pinch or grab my daughter when we play at her house – I know it’s the child is naturally possessive of her home. Her mother often pulls off her hands and tells her “Gentle hands,” but it doesn’t stop. She is a good friend of mine and I don’t want to jeopardize the friendship by bringing it up but her intervention doesn’t work. Although it’s not really harmful to my daughter I still want to instill the idea in my 2 year old that I am by her side to help keep her safe. What do you recommend doing in this situation? We are both mental health counselors which is also a factor to include… Thank you for any suggestions. Thank you, Jessica. One of the problems with your friend’s approach is that she is actually teaching the opposite of “gentle” when she is pulling her daughter’s hands off your child, after the fact. Children are learning 24/7 through our modeling and our actions and attitudes always trump our verbal lessons. So, to teach “gentle,” we have to respond gently and that means we are, ideally, close by ahead of time and calmly anticipating the possibility of the behavior whenever the children are engaging together. Either one of you could be the one to calmly hang close and intervene, gently blocking the action. Again, I would show rather than tell, so as to give less attention to the undesirable behavior. So, as you are blocking, you might acknowledge, “Seems you want to pinch… I won’t let you. Do you want that ball she has?” That doesn’t mean you are going to get the ball for her. It’s just about helping your daughter’s friend feel acknowledged and accepted for her desires and feelings. If they are both holding or pulling at a toy or object, I would let that be, while acknowledging, “Wow, yes, you are both holding onto that ball. Seems you want it Hannah, and so do you, Charlotte,” or whatever. Staying calm and accepting struggles while limiting harmful behavior, is the key. The children will take their tone from you. But, yes, I would definitely keep the children safe as best you can. If stuff happens that you miss, acknowledge and then let it go. Don’t go into a lecture or lesson about the undesirable behavior. Instead, learn from it that the children are needing you to be a little more present. Thank you Janet!! Awesome feedback. Much appreciated. I do not remember bedtime growing up, but I think it must have been horrible because I have this rage and claustrophobia within me when dinner/bath/bed comes around. I have made my day’s focus on my well-being the priority, because I would yell at bedtime. I exercise, meditate, eat better and I do not drink, but a hot toddy around four. I follow your self-care of being honest to myself and daughter throughout the day. I skipped taking her to a class because I knew I would have no reserve at bedtime: I had a quiet day, instead (so much pressure to do, do, do I said, no). I am committed to not yelling at bedtime, but leaving the room or closing my eyes and breathing, doing all I can to calm myself. I take myself mentally through all I have read here, for support. I am doing a better job. This evening, my daughter was starting her wildness and she saw me smile and be gentle. She asked, Aren’t you going to yell, Mommy? I had started a dance between us and she was just doing her steps each night. My sweet girl. I didn’t yell, even when she was tired, etc. & I wanted to, but I just closed my eyes and kept breathing. I had to wear braces on my legs when I was very young. I have a feeling I was forced into them. My daughter is triggering something and with your guidance and expertise I am not sweeping her up in it, but allowing her peace and security and comfort at bedtime. So, an hour into the issue, I went deep into my own memories of how I felt, as a child, when I was behaving in a way that was obviously annoying my mother and she would walk out of room, with an annoyed sigh. Why was I behaving that way? What was I wanting my mother to do for me? Well, I was feeling deeply uncomfortable with the feeling of someone being mean to me (or guilt or whatever may have happened, I do not remember specifics, just asking for emotional help in the only way I knew how: be a nudge, which kept me physically moving and talking so that I did not have to sit and feel the uncomfortable feeling). I wanted my mother to simply say what I ended up saying to my 4yo daughter and she received this and calmed down immediately: I’m sorry you were treated in an unloving way today by that boy. Thank you — always—Thank you. My beautiful daughter went to sleep heard. Supported. Loved. This is such a wonderful self-reflection. How lucky your daughter is to have a thoughtful and brave parent like you. As always, thank you for sharing your journey and for all your kind, encouraging words. I really appreciate you, Marian. You mention trying to stay where you are and blocking the action – but, in a house with 3 boys (10 months and 4 year old twins), Mum is struggling with 4 year old (B) having meltdowns and throwing toys at his 4 year old brother, baby and at her when he’s angry. If this is happening at a busy moment in the day (dinner time), Mum is taking B to his room so he can vent anger in there. Where possible, she stays with him, but this isn’t always possible with baby screaming for dinner etc. Is it appropriate to tell him she will be back in a moment and leave him to vent in his room (we call it his safe space to be angry). Also, is it appropriate to offer him a pillow to hit when angry? Sure, all of that sounds fine, Gillian. What matters most is to accept the feelings. Along with that, it’s our job to keep our home safe and that mean moving a child who is out of control. Ideally, you will do that with love and acceptance, because our attitude will be preventative for subsequent flare-ups. We have a 2 year 4 month old boy and just had a baby girl. We have been having an issue with our son throwing toys. There have been some changes in life like my mother moving to town and being over regularly as well as the new baby who is now two weeks old. We know that the changes likely prompted this but we are stuck on how to help him. Also it’s clear that it happens around times where he is hungry or tired or not getting attention so we do our best to address that but are scared for the infants safety when this is how he responds. We have tried blocking and saying I can’t let you throw that and suggesting other toys to throw. However it’s often hard to stop him in time, and he has to be blocked many times, and even then the behavior doesn’t seem to be getting much better. We took your advice to at times take him to another room to release his frustration but he plays there happily and doesn’t want to come back out and shows no venting of frustration. So our questions are: 1) What aren’t we doing that would be helpful? 2) When does he need to be taken out of the room? 3) What can we be doing when we take him to another room that will help him process and express his emotions? 4) If he throws only once and we don’t block him in time is there any need to say or do anything after the fact? Hi janet I’m having with my son refusing to listen to me. Irruping not doing things that I ask. And being uncooperative to. For example if I ask him to do something he just stands and looks at me and refuses to move. Hes also started back talking. He gets into stuff that he’s not allowed to have. And he still has a lot of tantrums espessially in public. And I’m not really sure how to deal with tantrums in public. He’s four and I feel like the tantrums should’ve stopped bynow. I know he doesn’t act like this at daycare because they would tell me if he did. Timeout doesn’t work anymore because he will sit in timeout and continue the tantrum long after I tell him he can get up. I yell a lot and I don’t like the way it makes mefeel. I’ve tried reading parenting books but I find it hard to remember all the things that I’m supposed to do everyday. Is it possible to break it down so I can focus on one thing at a time and then move on. He’s so good for everyone else but he won’t listen to me at all. Please help me. My 8 year old son is constantly antagonizing my 3 year old who is very sensitive. He says it’s “jokes” but it’s clearly not funny to anyone else. I’ve tried ignoring, redirecting and limiting their time with each other. Ideas? 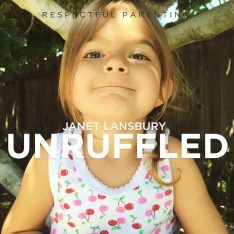 I love this Janet, and all your posts. To take this further, (I’ve read the other comments and your replies and none mentioned this): my 5 year old is still adjusting to her, now 2 year old, sibling. When she has big feelings she sometimes is still physical, usually only if I’m not right there to prevent it, but what about when she’s verbally hurtful? Usually I take her to another room so she can get out her words, etc. there, safely, with me. This isn’t always helpful. Obviously covering her mouth doesn’t work. At this point, she sometimes tries to hit me, I stop her but usually catch her arm quickly or with enough force that she screams that “she doesn’t like that, don’t do it again”. The hard crying releases b the tension and we can recover from that withsome time usually, but maybe I’m doing this wrong? I have repeated rules in the past and now am now resolved to not do that anymore. So… What to do? By now, I’m breathing deep and trying to keep my cool. Mostly, Colton doesn’t seem to be affected, but sometimes he is feeling afraid and then he is beside himself with her telling him he isn’t safe. It’s tricky to navigate and I would greatly appreciate any feedback you may have!